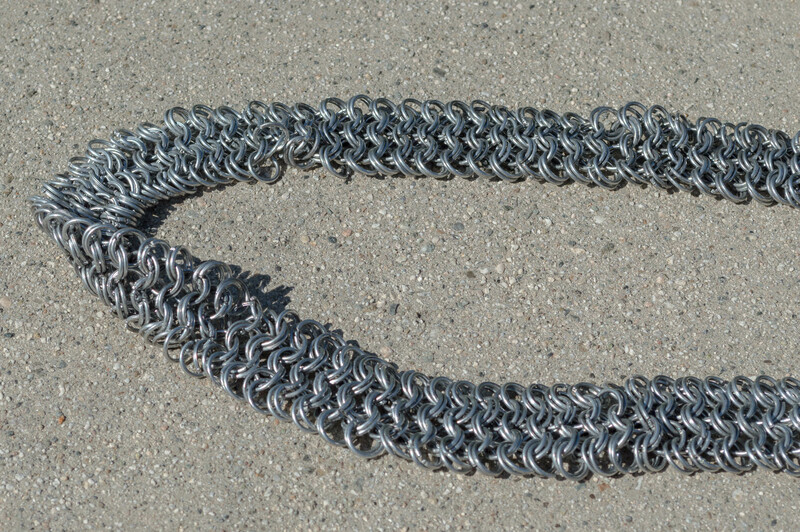 This is a chainmail belt that I made back in 2011. 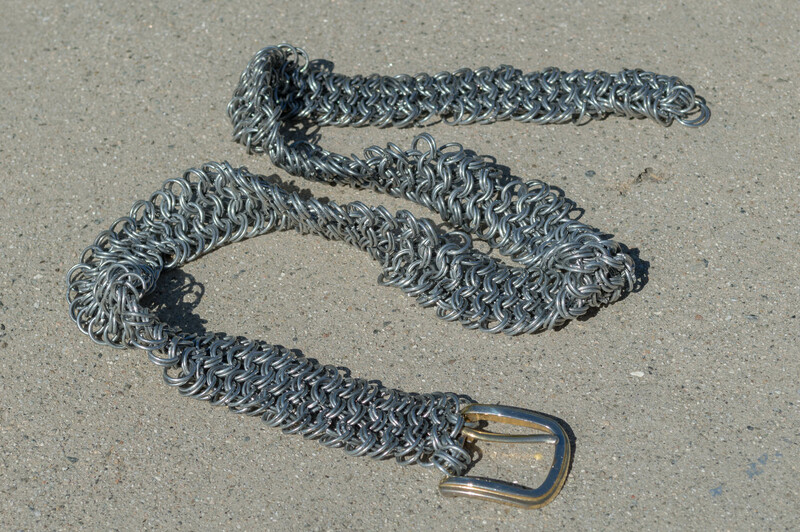 The rings were made from a bundle of aluminum wire. I made a spring coil by connecting the wire to a metal rod. The rod was inserted into a drill chuck and turned. The spring was clipped into ring with an end-cutter plier. 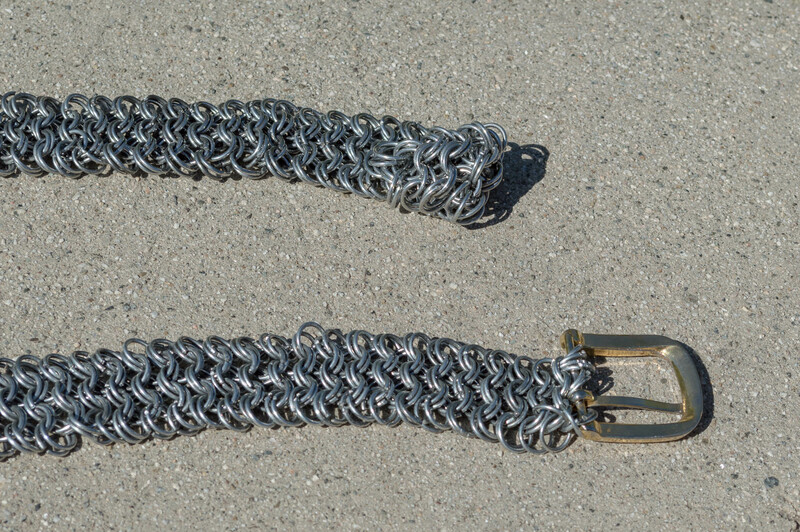 These rings were joined together using a 8-in-2 pattern: there were eight outside rings for every two center rings. It probably took around two months to complete. The end result weighed around eight pounds.